Kareena Kapoor Khan, the coolest mommy in town. She is the heartthrob of millions. She is one lady who lived her life on her terms and condition. She even lived her pregnancy like a queen. She then returned to films and proved that there is no star who can replace her. 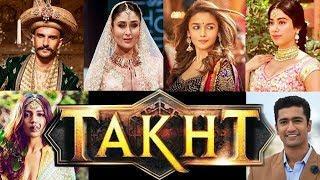 Well, recently Karan Johar made the BIG announcement of the film Takht. The announcement took the Internet by a storm. 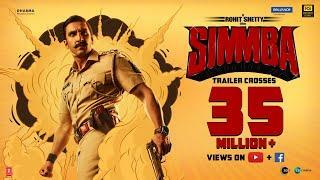 The film stars Ranveer Singh, Kareena Kapoor, Alia Bhatt, Vicky Kaushal, Kiara Advani, Anil Kapoor and Janhvi Kapoor and fans are helluva excited for this film! Apparently, the film would be a historical drama and set against the backdrop of the Mughal empire. But did you know that Kareena Kapoor was always doubtful about Ranveer Singh and never wanted to work with him? Well, the history proves that Kareena was unsure about Ranveer. 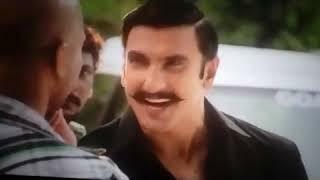 Before Karan, directors like Sanjay Leela Bhansali and Zoya Akhtar tried to bring these two actors on board, but Bebo rejected all three projects of Ranveer Singh, including Ram Leela, Bajirao Mastani, and Dil Dhadakne Do. We wonder what made Kareena say yes to the film Takt. And the answer is Karan Johar. The world knows that Kareena Kapoor Khan & Karan Johar are nothing less than BFFs and also Karan has given Kareena one of the most iconic on-screen characters of life, "Poo." So, one can assume that Karan might be the reason why Kareena has agreed to come on board along with Ranveer Singh. Kabhi Khushi Kabhi Gham was one multi-starrer project and despite having Superstars like Shahrukh Khan & Kajol, Karan made Kareena Kapoor shine, throughout the film, and she's expecting the same kind of audiences' response from Takht. Considering the fact that Kareena has become quite 'selective' with her projects after she has become a mother, the 'never-done-before' character might be the reason, why Kareena is all 'yes' for Takht. Now we eagerly wait for the film.